When playing in the free demo mode, there is no need to register for online play. If you eventually decide to play with real money, you will need to register with one of our select partner casinos. It's a painless process which requires some personal information, and will be familiar to you as when buying something online. Registration with one particular casino gives you many membership rewards, and as mentioned before, you will be given a sign-up bonus to add to your account. Your information is private and secure and you always have the ability to close your account if you are unhappy with the casino. How do I register at an online partner casino? Registering at our partner casinos is quite simple and will take you no time at all. Remember, these casinos are climbing all over each other to get your online slot real money play, so they make it easy as possible. Just clink on the link to your favorite online casino and you will be directed to the registration page. Our partner online casinos all have 24/7 customer service to assist you on this process. Fill out the few mandatory fields and receive you sign-up bonus and start playing for free or real money. What are the benefits of registering at an online casino? If you are going to just play demo slots and have no desire whatsoever to play for real money, then I guess there is no reason to register to an online casino. But on the other hand, since it doesn't cost anything it wouldn’t' hurt, as its a great way to explore the online casino world. Now if you do decide to play for real money, then the benefits and rewards gained from registering are endless. As mentioned in previous pages, it is always a good idea, before you register, to review the casino to see if its compatible with your type of play, although you can always cancel your membership quite easily. Just for registering you received rewards and bonuses even playing, but of course you just can't take the “money” and run. Many people sign-up to multiple casinos so as to benefit from all of the generous offers. Are there any downsides to registering at an online casino? For the most part there really are no downsides to registering. 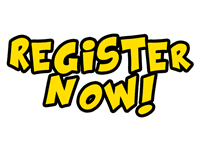 Registration is free and there is no requirement to spend any money if you desire not to. Be sure to keep all of your information including your user-name and password in a safe place, as yo do not want anyone else having access to your account. 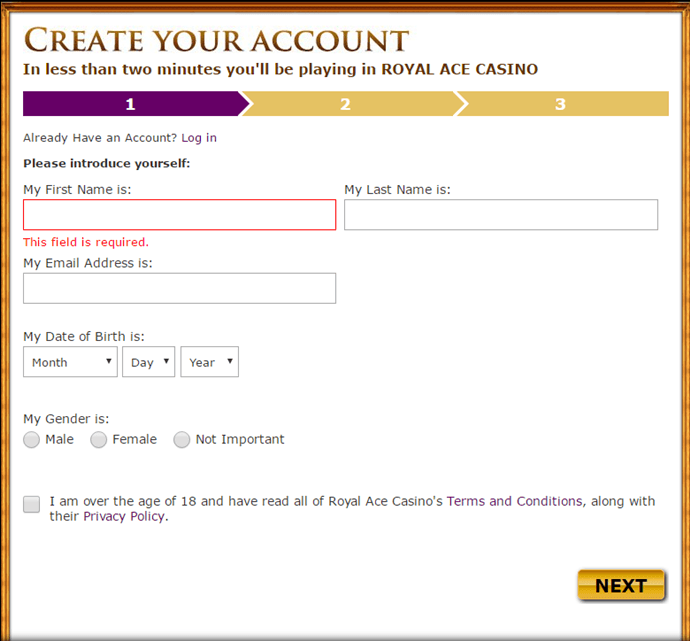 Below is the registration/sign-up form for Royal Palace Casino. As you can see it is fairly simple and self-explanatory. At all of our partner casinos there is a toll free number which you can call if you have any questions or concerns. 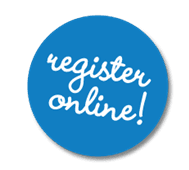 Casino Registration is free and simple, sign-up today!